Transport for the North steps in to encourage RMT and Northern to begin fresh talks and suspend strike action. Transport for the North has this evening called on both rail operating company Northern and trade union RMT to come together and get back around the negotiating table. The statutory transport body has acted in the interest of the North’s passengers, with the aim to ease significant disruption to passengers during the busy run-up to Christmas. Transport for the North’s members, made up of civic and business leaders across the North, have agreed a position they hope will encourage all parties to work to resolve the long-running dispute. In the statement – available in full below – Transport for the North confirms it does not support removing the second person from trains. It also says that, in helping facilitate further discussions between both parties, it is willing to consider all options that could lead to an agreement. Weekend services on the network operated by Northern have been severely disrupted, with last Saturday representing the 37th day of strike action by RMT members. Transport for the North is concerned that the ongoing industrial dispute between Northern and the RMT, with further industrial action planned in the run up to Christmas, will add to the significant disruption that rail passengers across the North of England continue to experience. 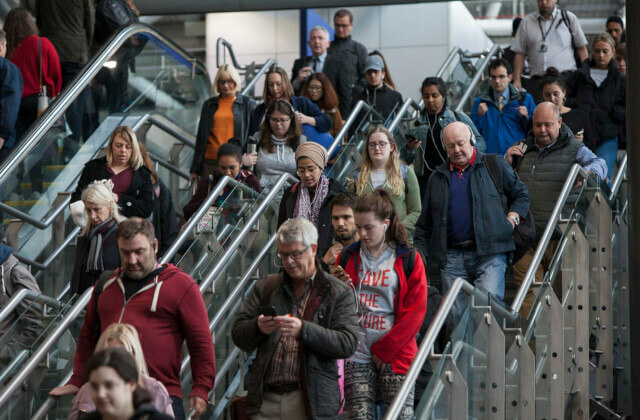 Transport for the North does not support removing the second person from trains, particularly when a significant proportion of rail stations in the North of England are classed as inaccessible for disabled passengers. Transport for the North notes that the normal course of events would be for Northern to reach agreement with the RMT, as has been the case in other parts of the country, and to then seek approval for such an agreement through the Rail North Partnership if any amendments were required to contract terms. Transport for the North wishes to clarify that it would be willing to consider all options that would facilitate such an agreement. Transport for the North hopes that this clarification will enable Northern and the RMT to have further discussions about staffing arrangements and would urge the RMT to suspend all planned industrial action. The move reflects the sentiment from Transport for the North’s members: that passenger confidence in the North’s railways must be restored and that the North’s economy cannot suffer as a result of continued disruption. “Businesses across the North’s villages, towns and cities are reaching their busiest time of year. Christmas markets are transforming our bustling centres and people want to enjoy all our economies have to offer. But this is being hampered by uncertainty and disruption on the rail network. People are choosing to make other plans as a result.